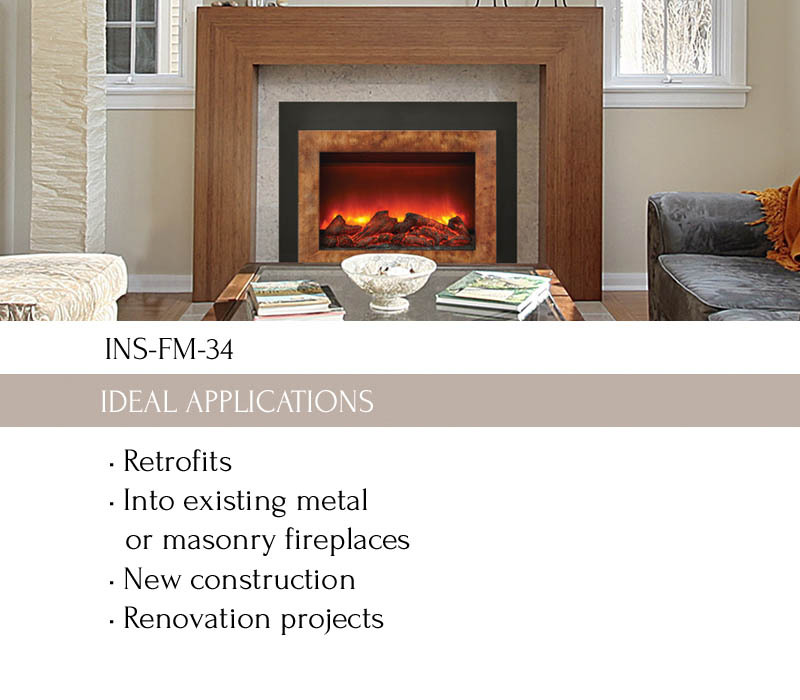 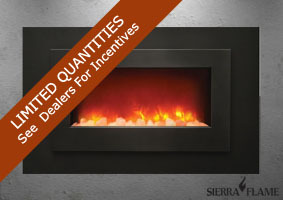 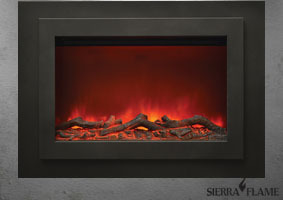 Add new life to existing wood or masonry fireplaces with Sierra Flame’s beautiful Flush Mount INS-FM-34 Electric Insert. 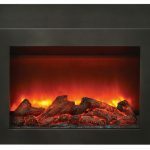 The stunning and life-like ‘gradient’ flame is intensified by the visually impressive traditional log set, included with the insert. 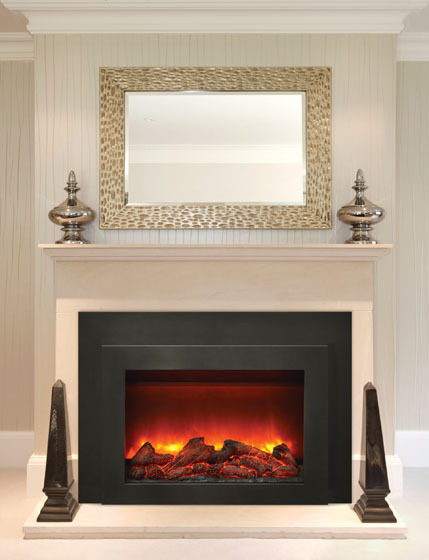 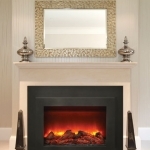 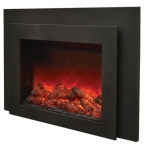 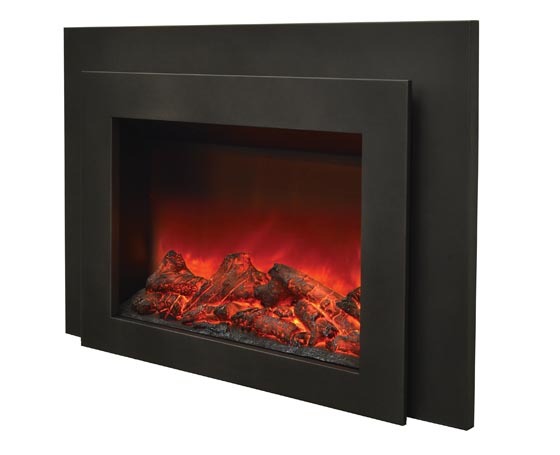 The electric fireplace insert is finished with a black steel surround, and the versatile design of this insert will look great with any décor style. 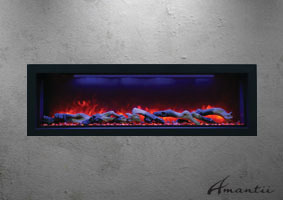 You can conveniently control the flame height and intensity of the natural looking flame with the included remote control. 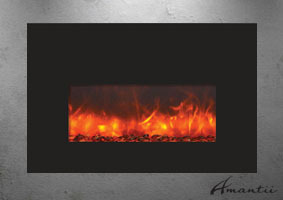 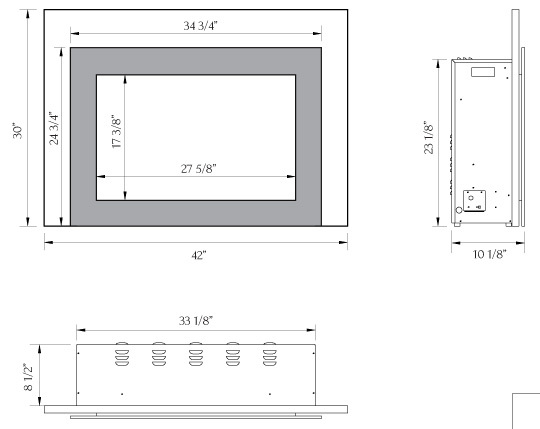 Ideal for zone heating, easily heats a space 400 to 500 sq ft in size. 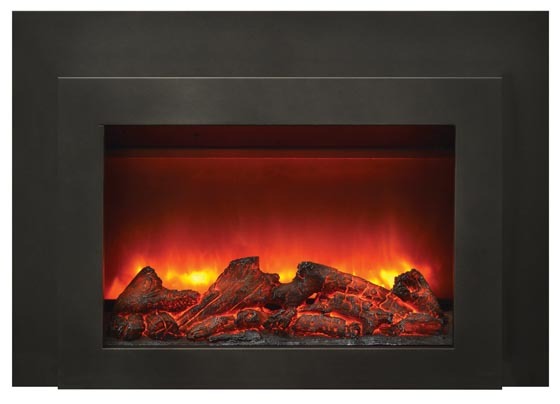 Large log set included, as show.